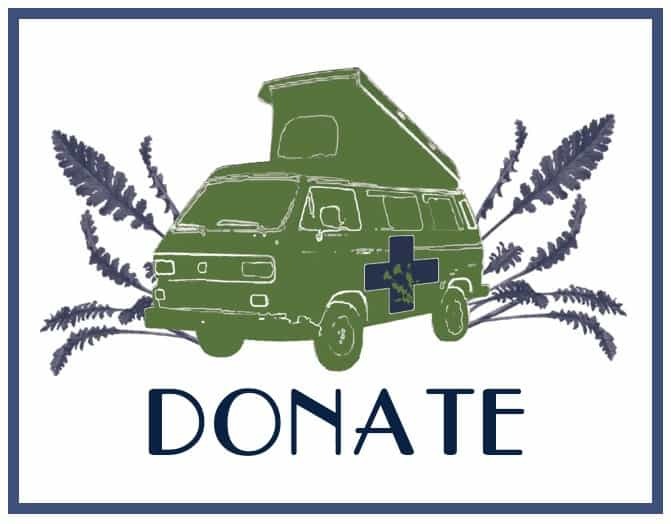 The Herb Cart is a mobile clinic providing free, herbal care to communities in need around the Atlanta area. We serve at a variety of locations, such as city parks, soup kitchens, and community centers. This program serves as a unique training opportunity for emerging herbalists and was constructed to provide a safe and supportive vessel for you to expand your clinical potential. We strive to free our work from the confines of the clinic walls and bring herbalism out of the shadows and directly into the hands of the people. The Herb Cart often serves in Woodruff Park, located in downtown Atlanta, alongside the Food Not Bombs crew. They bring a hot meal and music to the park every Sunday and we are honored to join them as often as we can! 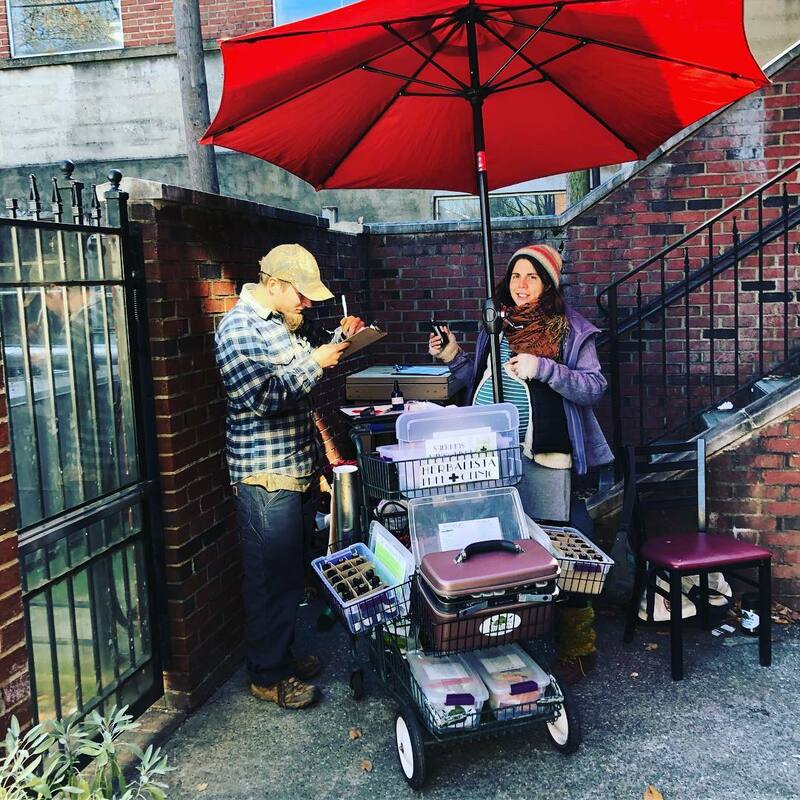 Complete an Herb Cart Training (2019 – dates TBA). Fulfill all Herb Cart Requirements as described below. Once you have completed the process, we welcome you to sign-up and serve at the various clinics we schedule throughout the year. Have a solid foundation in herbal medicine acquired through either program study, apprenticeship, or rigorous self-study. We use a broad range of remedies on the cart. Please see the Herb Cart Service Manual on the Resources page to see an example of the Materia Medica we utilize. You must be familiar with this range of herbs and their safety requirements. Preferably, it is recommended one also attend a Wilderness First Aid or Wilderness First Responder course like those offered by Landmark Learning and NOLS. Attend an Herb Cart Weekend Training Session (Herbal First Aid, Herb Cart Protocol, etc.) Each training session is limited to between 6 and 8 participants. Train at the Harriet Tubman Foot Care Clinic a minimum of two times (more is preferable). This clinic meets every Thursday afternoon at the Mercy Community Church. Demonstrate dedication to learning about and practicing anti-oppressive healthcare. For more information, please see our resources. To maintain active volunteer status you must demonstrate a continued commitment to your craft and community healthcare. Herbal Tea is provided. Please bring packed lunch on both Saturday and Sunday.